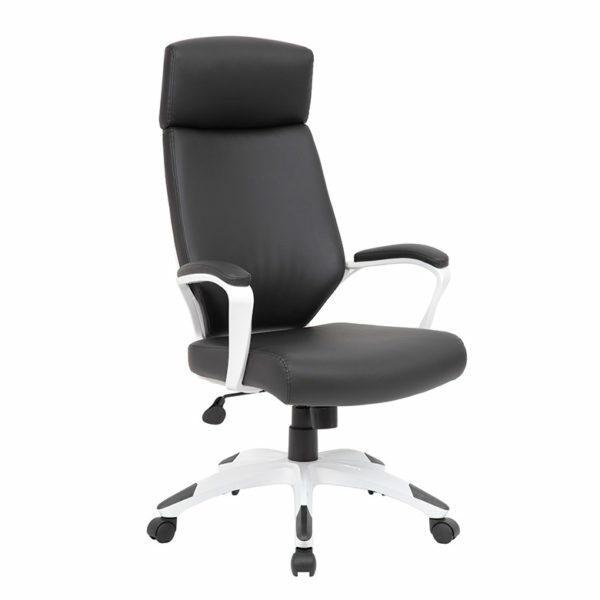 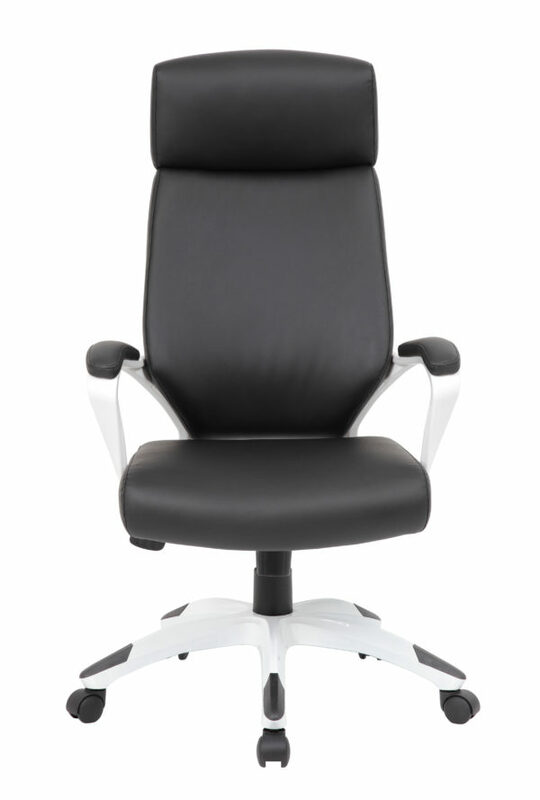 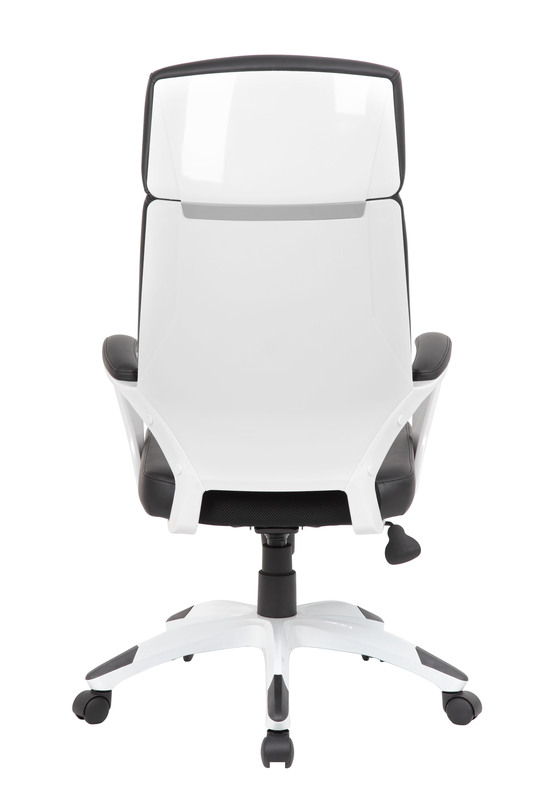 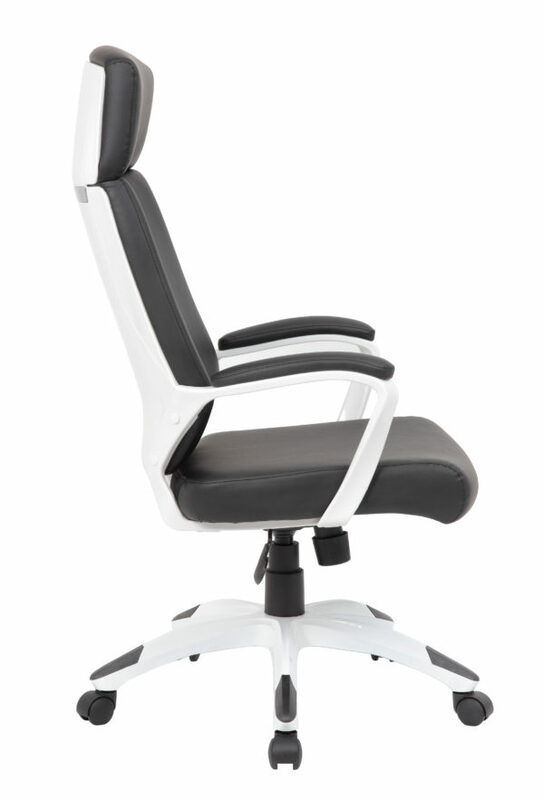 The white and black trooper chair offers a modern look with supreme comfortability. 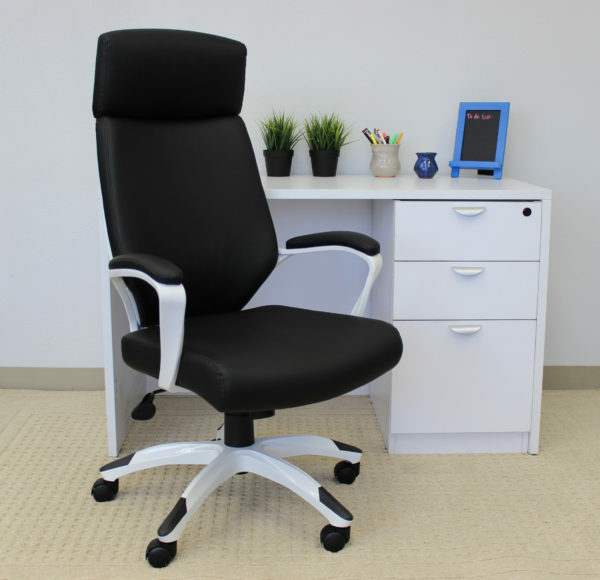 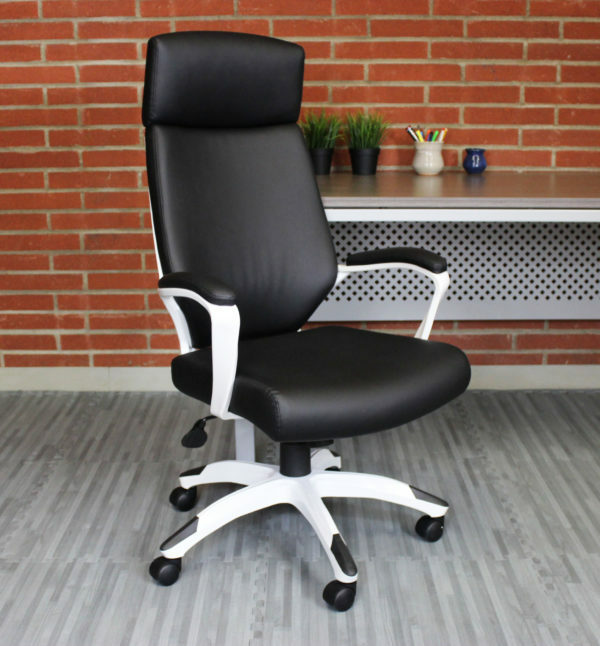 The chair is made with CaressoftPlus, which is a trademarked vinyl that is ultra-soft, breathable upholstery that looks & feels like leather, but is more durable & easy to clean. 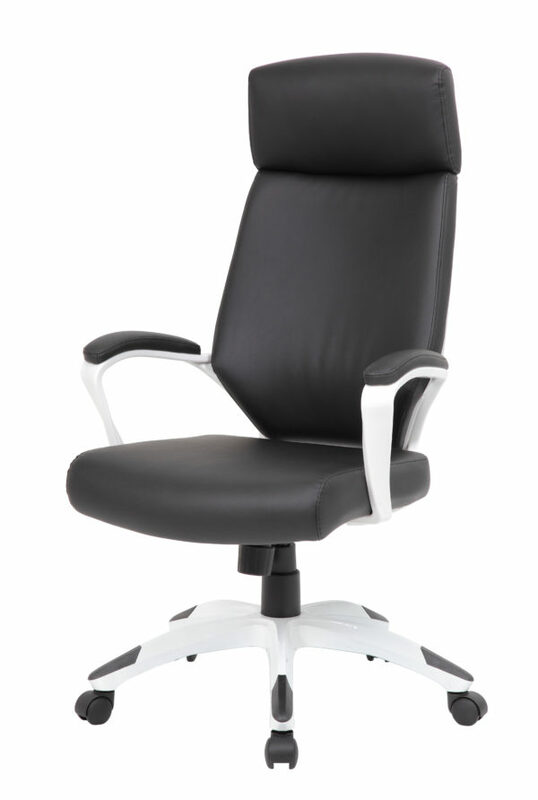 The chair is also designed with a sturdy 27 inch nylon base with black caps and 2 inch nylon dual wheel castors. 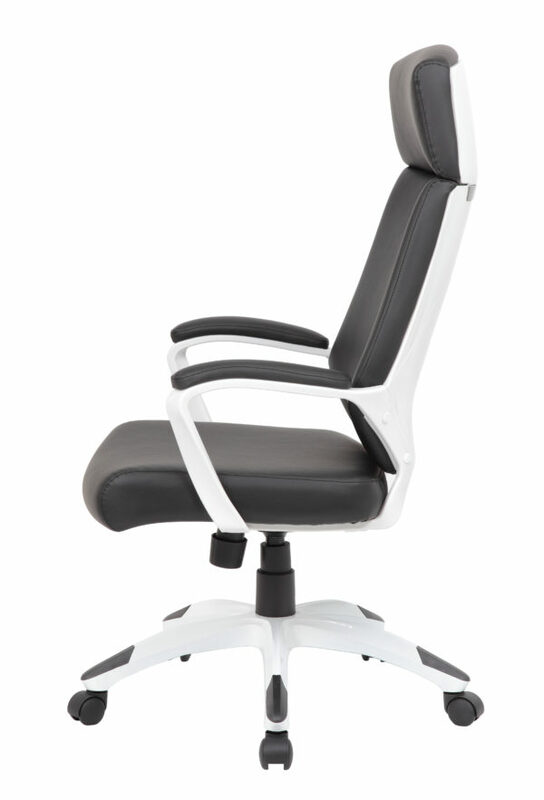 The chair also offers a spring tilt mechanism, a pneumatic gas lift for easy height adjustability, tilt tension and an upright lock.